Google always has the best ideas when it comes to adding productivity to your email sessions. Have you heard the benefits of the Gmail preview pane yet? We don’t know how Gmail does it. Ever since Google launched their email service nearly 15 years ago (it’s been a while hey? ), they’ve been improving the way we can use email to up our productivity. With features such as email templates, Gmail offline mode and smart compose, they’ve totally dominated the email game. The Gmail preview pane is yet another cool feature that can help you to be productive, and it can be used right in Shift. (Because guys, everything that can be done via Gmail can be done in Gmail via Shift – with even less distraction!) With the preview pane enabled, you can conveniently get a sneak peek of the message without having to open the email. You’re just seconds away from being able to multitask – are you psyched? We are for you. 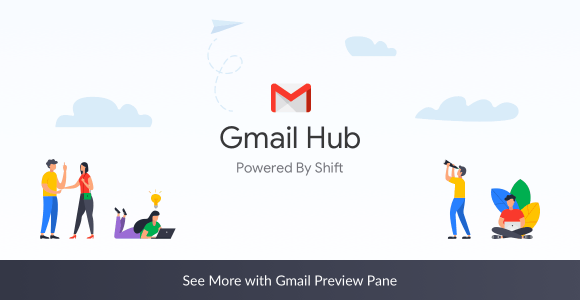 Note: If you are managing multiple Gmail accounts in Shift, the preview pane feature will have to be enabled on every account separately—just like any other features. By default, the Gmail preview will be spliced vertically. However, if you’d rather have the split horizontal or turn the preview mode off altogether, you can do all of this with one button. There you go, now you can take your Gmail productivity to the next level!